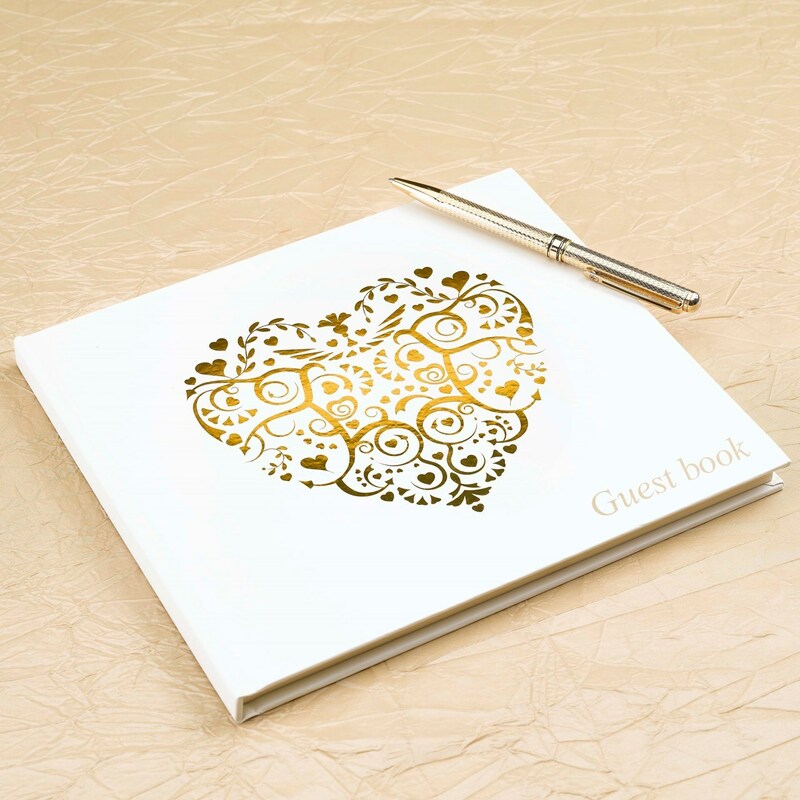 Guest books filled with special messages from your wedding guests make a lasting memento of your wedding day. This elegant option, from the Vintage Romance range, features an exquisite heart illustration and 30 pages of high-quality paper on which your guests can inscribe their messages. Featuring a timeless colour palette of ivory and gold, this beautiful book makes a wonderful addition to your wedding scheme.